Extended Stay America Economy Atlanta Jimmy Carter Blvd. The Microtel Inn and Suites, Norcross is located off I85 at exit 99. Our hotel is centrally located near corporate and business centers, five miles from Historic Downtown Norcross with its unique shops, restaurants and stately homes, minutes from downtown Atlanta attractions, Stone Mountain Park, several shopping areas, and golf courses. For your dining pleasure there is a wide variety of restaurants in walking distance or a short drive from the hotel. With consistent quality, affordable prices, and great service, Microtel Inn and Suites is ideal for the business and leisure traveler. Our hotel features FREE local and long distance phone calls in the continental US, and FREE high speed wireless internet access in all rooms. A complimentary continental breakfast awaits you each morning. For your convenience there is a guest laundry.Our rooms are clean and comfortable with one or two queen beds. Each room features a well lit work desk with ample work space, a 27-inch TV with HBO, ESPN, CNN, and cozy sunlit bay window seat. 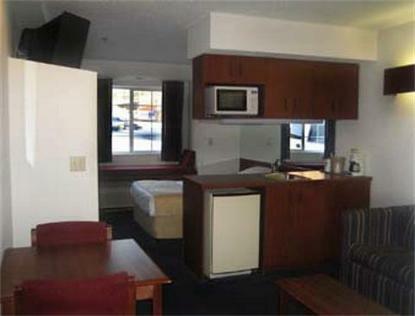 Suites include queen sofa sleepers, refrigerators, and coffee makers. Irons, ironing boards, and hair dryers are available.Whatever your needs, whether its driving directions to area restaurants, attractions or sites in the area, we are here to help to ensure your stay is enjoyable. Make us your home away from home when traveling for business or leisure.Coming soon our rooms will have a plush pillow top or thick mattress topper on all beds, cozy down-like comforter, higher-thread count bed linens, extra pillows and bed skirt for a home-like feel.